Ahoy, readers! I know I've had a lot of nautical posts lately, but this should be the last one for awhile. 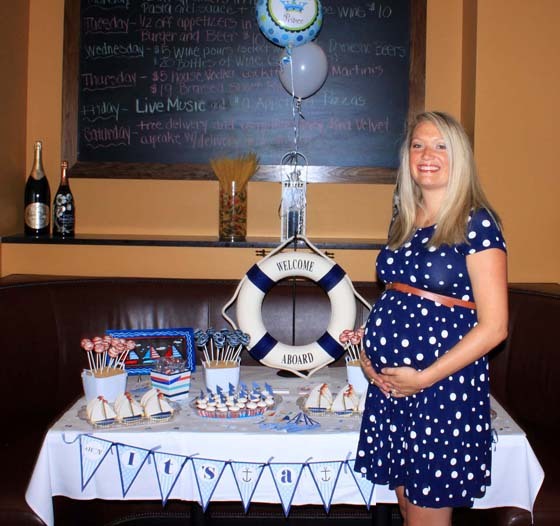 I was blessed enough to have this amazing shower thrown for me and Baby D last month by my Aunt Joanne (and my Mom). It was super adorable! 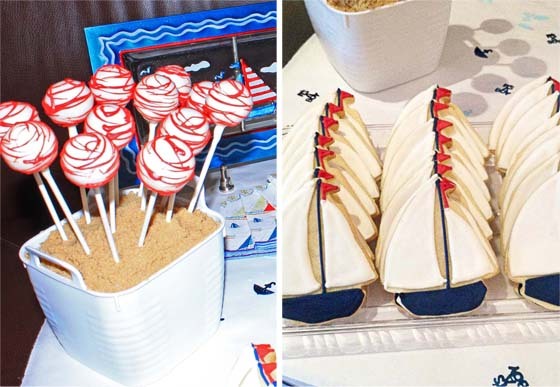 I especially loved the sweets table - check out the brown sugar used to mimic sand in the cake pop pales. 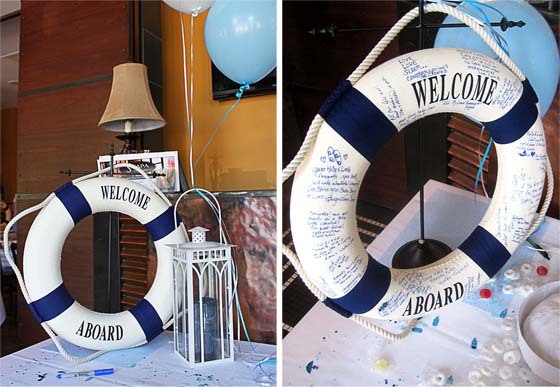 I also drooled over the "Welcome Aboard" life preserver cleverly used as a guest book. I can't wait to hang up the finished product in Baby D's nursery. 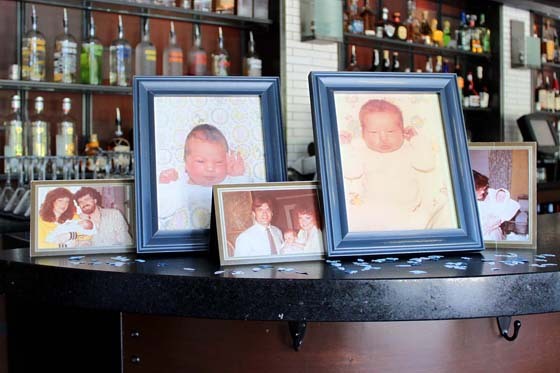 For more details and information on the event visit my baby shower submission over at PROJECT NURSERY. If you haven't checked out the site before, it's a great source for decorating and party planning inspiration. 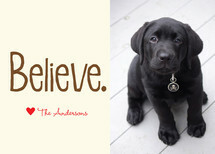 Would love it if you voted for my event too! Happy Friday! 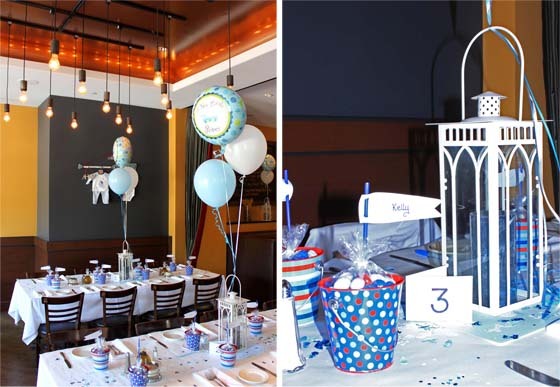 Baby D's shower looks like it was perfect! 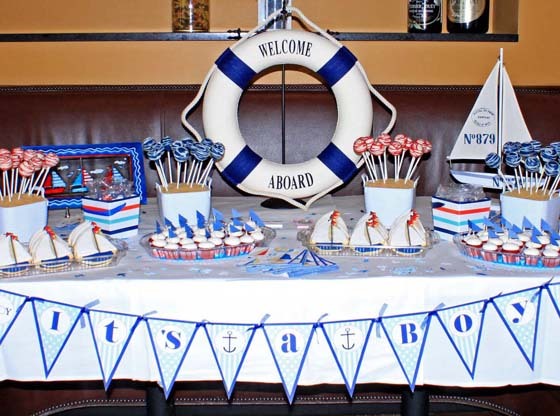 I love all of the nautical touches! !